Far Cry 4 - PC Games Trainer and Cheat Codes. 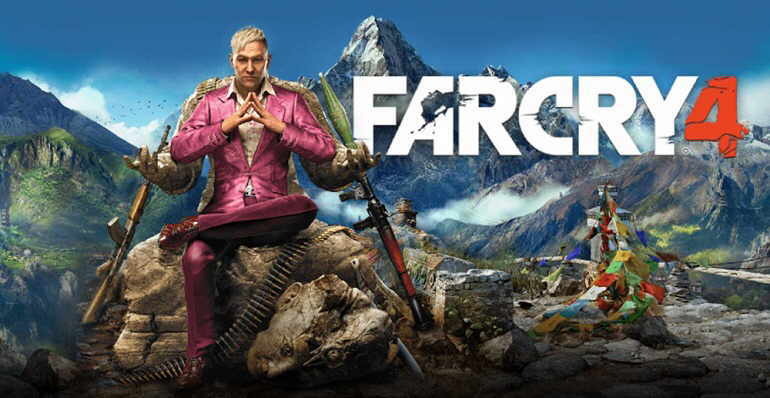 With Far Cry 4, you will find yourself in Kyrat, a breathtaking, perilous and wild region of the Himalayas struggling under the regime of a despotic self-appointed king, Pagan Min. With terrain spanning from lush forests to the snowcapped Himalayas, the entire world is alive… and deadly. From leopards, rhinos, black eagles, and vicious honey badgers, Kyrat is home to abundant wildlife. As you embark on your hunt for resources, know that something may be hunting you… Scout enemy territory from above in the all-new gyrocopter and then plummet back to earth in your wing suit. Climb aboard the back of a six-ton elephant and unleash its raw power on your enemies. Choose the right weapon for the job, no matter how insane or unpredictable that job might be. With a diverse arsenal, you’ll be prepared for anything. Trainer for the game Far Cry 4, you can use it to activate these essential Cheat Codes: Infinite Ammo, Infinite Money, Infinite Money, No Reload. Note: This cheat tool is for the original version of the game Far Cry 4.